Oh no! 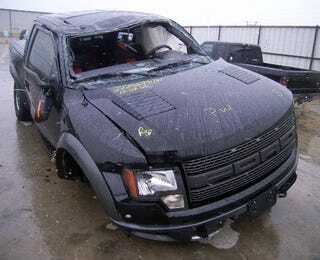 Someone's rolled an Ford F-150 SVT Raptor after just 1,917 miles, completely tearing the front passenger-side suspension out and smashing the hell out of the cabin. It's going to auction, expected sale price: $6,200.